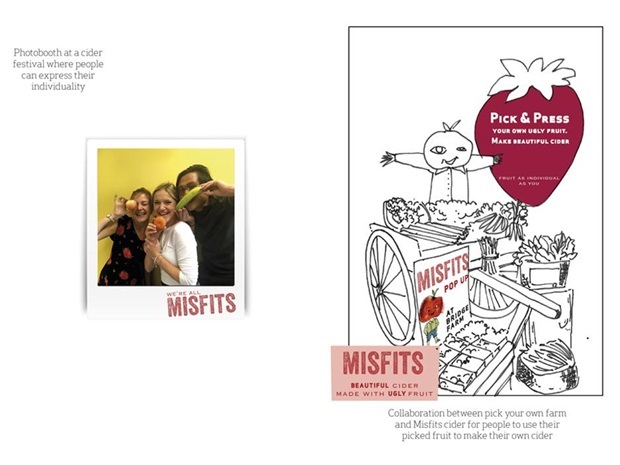 For design and brand consultancy Coley Porter Bell they were challenged by the brand, The Grocer, to come up with a new creative strategy for their fruity cider “Misfits”. Of course to help build their brand image and reputation, and increase sales. But to also use the branding strategy as an awareness raising campaign regarding fruit and veg! Of course to make sure you’re going to get something right, you have to evaluate the market in which you operate. Know your audience as well as your client. Coley Porter Bell found that Brits throw away seven million tonnes of food and drink from their homes every year. With even more millions binned before it even makes it into the nation’s shopping baskets. There’s been numerous reports and campaigns from supermarkets as well as local farmers and producers regarding “wonky” fruit and veg. Those that are not deemed “perfect” enough to be chosen to be pre-packed and picked off the shelf. These not-so-perfect fruit and veg are being left on the side-lines and ultimately binned. However as awareness surrounding this is growing, these not-so-perfect fruits and vegetables are now being sold at cheaper prices and branded as perfect in its own right. So for Coley Porter Bell this was a great starting point. Misfits Cider, then had a story to be told! 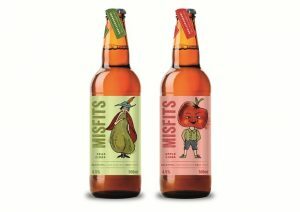 “Misfits Cider believes that no fruit should go to waste, which is why we opened our brewery to bottle ciders made only from the fruit to `ugly` to make it to the supermarket shelves. “We embrace their strange little imperfect-ness- and we believe everyone else should too. After all, an apple (or pear) by any other shape tastes just as sweet”. And with this, their creative, funny and emotive branding strategy was born. After redesigning the visuals and identifying the brand story, the campaign strategy then focused on getting the message out. The brand is very social, and instantly took to snapchat. 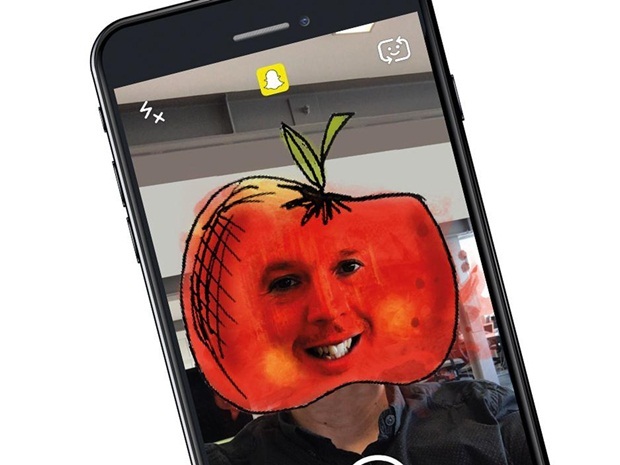 Here consumers could use the snapchat filter to turn themselves into a piece of Misfits’ fruit. As well as having photo booths at cider festivals, where they encouraged people to express their individuality as well as collaboration between pick your own farms and Misfits Cider. The aim was to allow everyone the opportunity to get involved in their cider making process. It allowed them to connect with their target audience in a fun way whilst also educating them on the current fruit and veg situation in the UK. 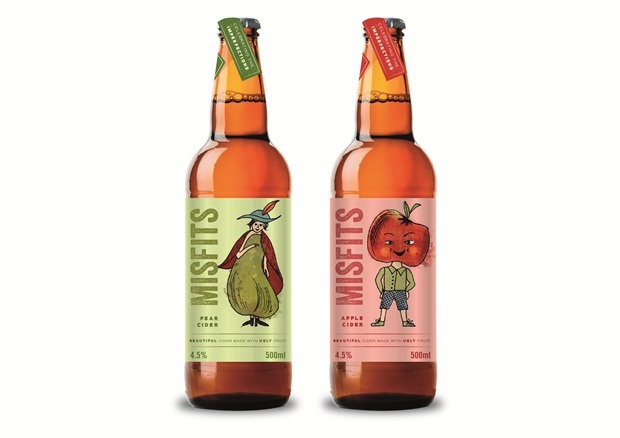 Misfits Cider has undoubtedly got a great new visual identity. It fits with their aim and meets both of the client’s original objectives. It also ties very nicely into ongoing initiatives with regards to imperfect fruit and veg and raising this awareness with consumers further. Their brand story is communicated well and they are targeting the right target audience, in the right places for their products. However, is it more the funky and cool visual elements that are attracting consumers? Or is it the knowledge about the environmental issues which the brand are raising that is helping to raise their brand profile? Amanda is a copywriter with over 10 years’ experience in the world of marketing and communications. With an effective and no nonsense approach, she can look at any challenge with a creative and can do attitude. I love this concept! It is so encouraging to me when brands use their influence for good and to initiate change. This company uses the values it was founded on as a way to position its brand, while using their platform to inform consumers about the effects of food waste. Brands hold such power in our lives, and it is always nice to see companies using this influence in a positive way. Thanks for sharing!